The average rate of a flight from Durham to Venice is $1,434. For a RDU-VCE flight travelers may get an average 9 thousand redeemable miles. 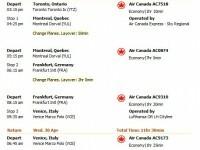 A flight from Durham to Venice costs around $1,492 in off season whilst it gets as high as $1,419 through peak season. Good to know that the best price found for the same route was $744, this was a Iberia Airlines flight discovered by travelers on Cheapoair.com. But the cheapest airfare found in the last 12 months is also good, just $852 r/t for a KLM flight found for September 2012 on SmartFares. 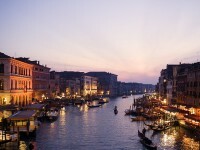 High season is around June to September in Venice therefore airfares will most likely become truly pricey than. In case you are browsing for better fares, we advise you depart during April, May and October, over off season, because than rates may be more affordable. We believe that generally the ideal time to travel to the city from Durham is between low and high season, in November to March. The longest viable flight distance between Durham and Venice is 5,864 miles. The shortest flight starting from Venice is only 187 miles long and goes to Munich. The longest flight going to Venice Marco Polo is 4,440 miles long and it takes off in Sabiha Gokcen, Istanbul. The shortest distance between Durham and Venice is 4,556 miles long, it is a 1 hour and 16 minutes flight. Durham is linked to 37 distinct airports in total.